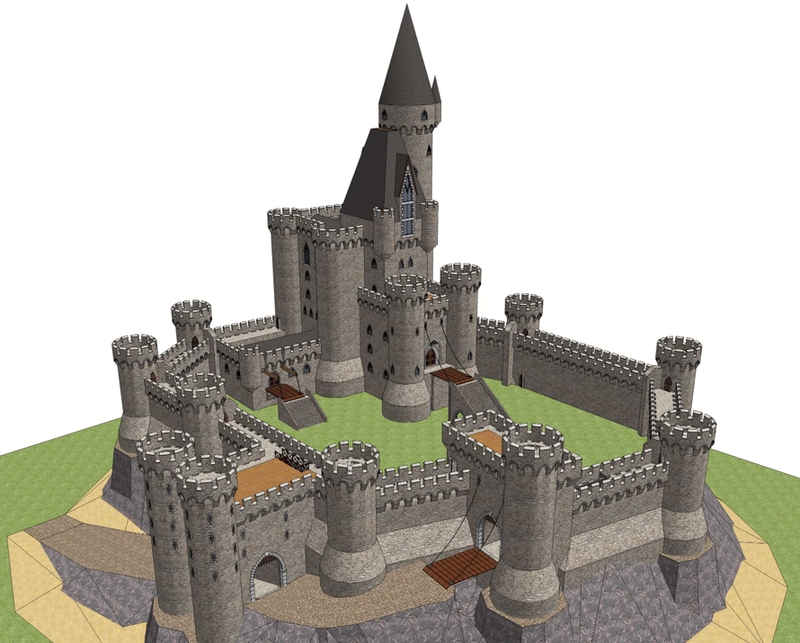 How realistic are the fantasy castles from films and games? Shad M Brooks is a huge, huge fan of swords and castles, amongst other geeky subjects, all of which he enthusiastically explores on his YouTube channel, Shadversity. I’ve been really enjoying his castles playlist. It’s worth starting at the beginning of the playlist with the first two videos on fantasy vs. reality and the names and terms of a medieval castle parts. In those videos Shad shows off and explains his own rather cool design for a more realistic fantasy castle he calls ‘Honor Guard’.